IOST is a scalable, secure and decentralized blockchain App platform. Its high TPS, scalable and secure infrastructure provide infinite possibilities for developers to create, innovate and build their next big ideas. IOST is listed on Coinmarketcap. 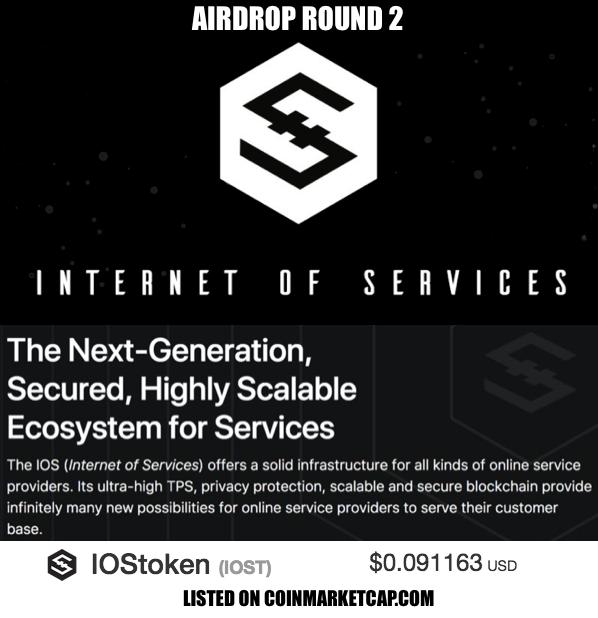 IOST is airdropping 100 IOST tokens to airdrop participants and 600 IOST for every referral. Firstly sign up on IOST hub airdrop page. Very your mobile number and log in. Answer a short quiz available after you logged in. You will get 100 IOS tokens. There is different quests available where you can earn more IOS tokens. Refer friends to earn 600 IOST for every referral. You have to verify atleast 2 of your social accounts to get referral IOS tokens . Withdrawal can be made after 30 days.